Is it possible to put a price on decades of better quality sleep for you and your loved ones? Untreated sleep apnoea is believed to reduce life expectancy by up to 10 years and increases the chance of premature dealth by 30%. 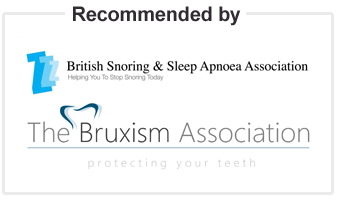 While snoring causes misery and suffering to countless people. The Somnowell could be the long term solution you are looking for. The chrome cobalt Somnowell appliances are similar in price to chrome cobalt dentures. The difference is that the design of the Somnowell appliance has been led by Visiting Professor Simon Ash, a highly experienced Consultant and Specialist Orthodontist. Prices may vary and should be confirmed with your chosen Somnowell Practitioner. The average fee for the Somnowell Chrome and package of care (including the Somnowell appliance, the record taking, the fitting, the follow up, and any adjustments if necessary) is £1,500. Many practitioners offer payment plans. 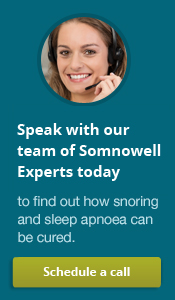 It is important to note that the Somnowell device is a long-term functional appliance. When worn in the mouth, over time the Somnowell device may suffer from 'wear and tear'. This is to be expected and may result in faults and breakages. This is not covered by our warranty and repairs will be charged for according to the work required. Please see our warranty for more detail about what is covered.